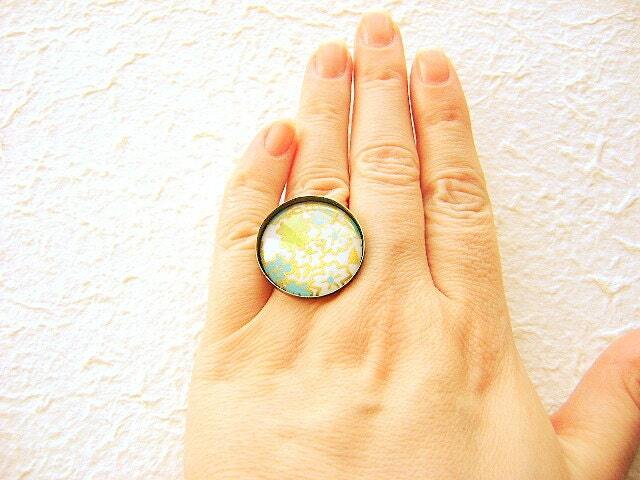 Japanese Ring Made Of Chiyogami Paper and Domed Glass - Sofia Molnar - Blog. This is really pretty! The paper is Japanese chiyogami paper. The colors are light green, light blue white and gold. Please look at the last picture to see the domed glass. 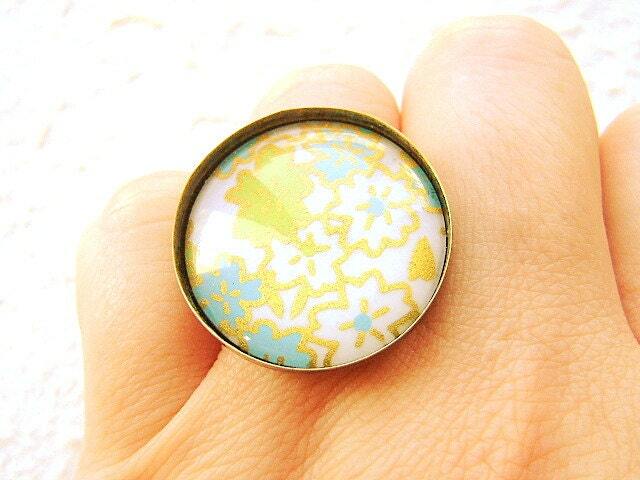 This ring is not included...it is just to give you an idea of what the glass looks like. 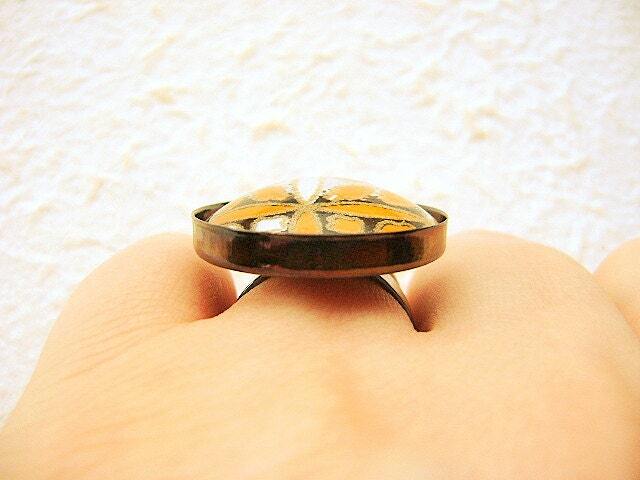 It is on a antiqued copper colored adjustable band that will fit most ring sizes. It measures about 2.5 cm wide. I protected the paper but I wouldn't get this ring wet. SouZouCreations' products are made with attention to detail, creativity and long lasting dependability. These products are constructed with many types of plastic, glass, metal, ceramic and much more. They are not expensive pieces but are meant to be fun and beautiful. SouZouCreations' products are created to be worn on special occasions – fun times or to add a little bling to any outfit.